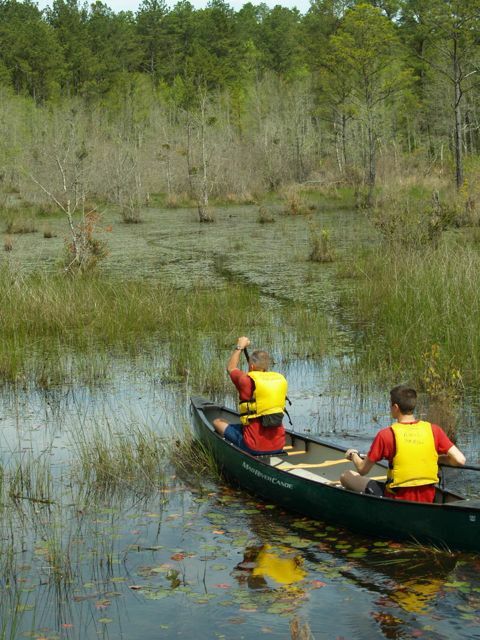 Racers will mountain bike, kayak, trail run, and orienteer while navigating to checkpoints containing wilderness medicine scenarios and questions. 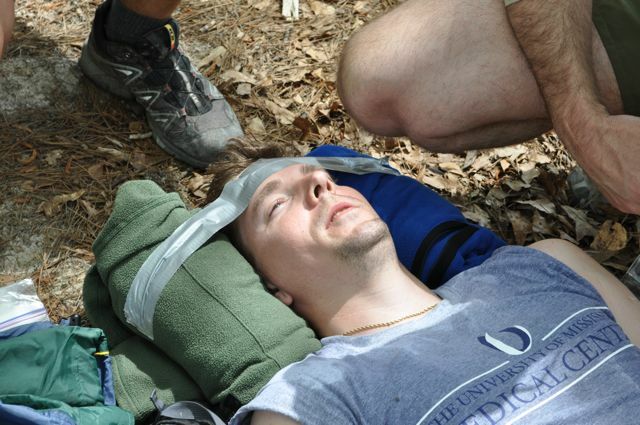 Teams of four will race on a course featuring questions and hand-on scenarios, designed to test your academic and practical knowledge of wilderness medicine. 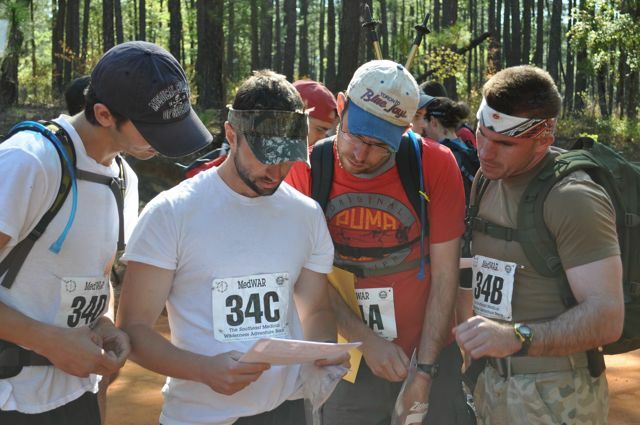 Teams will navigate by map and compass to checkpoints where they will encounter physical challenges or wilderness medicine scenarios. The team must successfully complete the scenario and demonstrate all procedures before moving forward in the race. Past MedWAR races have involved treating everything from climbing or diving accidents to wildfire burns and altitude sickness. Teams will receive pre-marked maps with all checkpoints for the race. There will be major and minor checkpoints. Major checkpoints are mandatory and have medical scenarios. 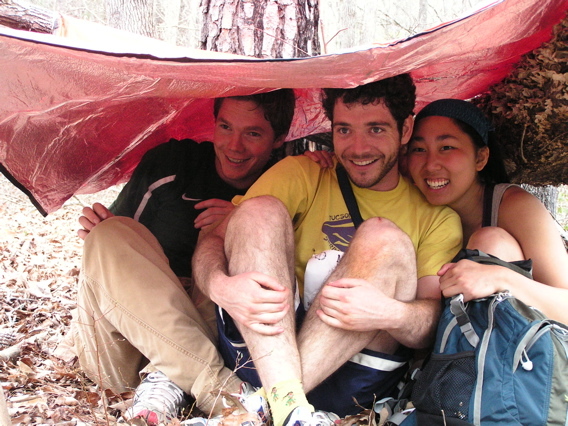 Minor checkpoints are optional and have wilderness medicine questions. 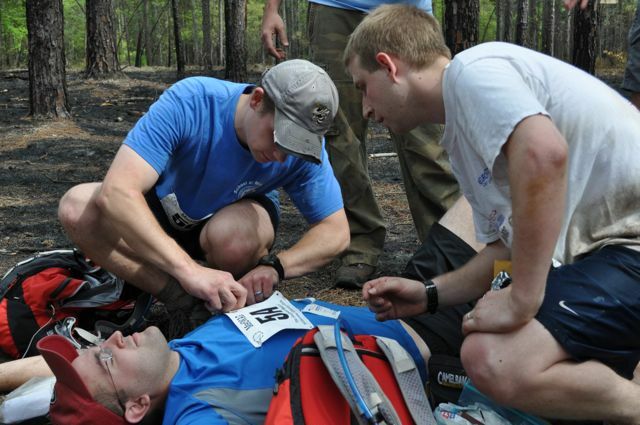 The race will have a number of required, hands-on medical challenges that must be performed at a minimum level of competency until they are complete. Scoring is based on a checkpoint system. Each checkpoint is worth 5 points. Each scenario completed correctly is worth 5 points. Each question answered correctly is worth 1-2 points. At the end of the race, teams are ranked initially by the number of 5 points gathered and then ranked by time. 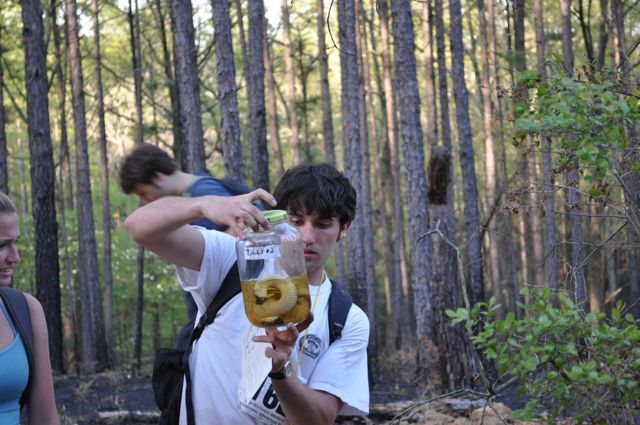 Each checkpoint will be marked by a traditional orienteering orange and white flag. Expected race finish times are 6-8 hours. This is an unassisted race - no support crew. Competitors are expected to either carry their own water or detoxify it during the course of the race. Any assistance received from the race staff will result in disqualification. 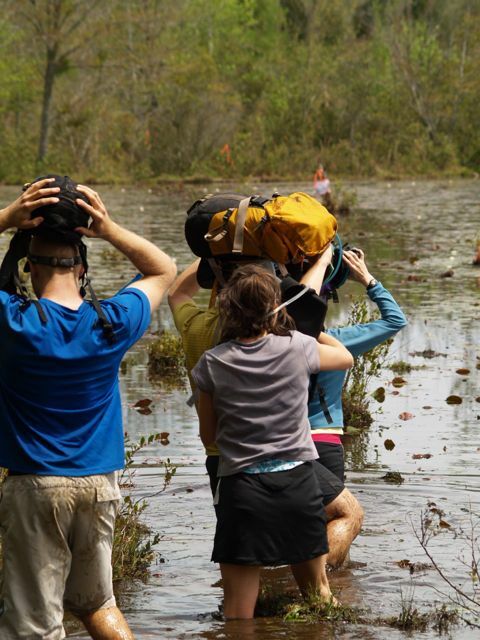 Participants must bring items they feel will be necessary to compete (backpacks, medical kits, food, water, printed medical references, clothing, gear). Teams of any four (4) persons - no less, no more, no exceptions. There are no age, gender, or training level categories. 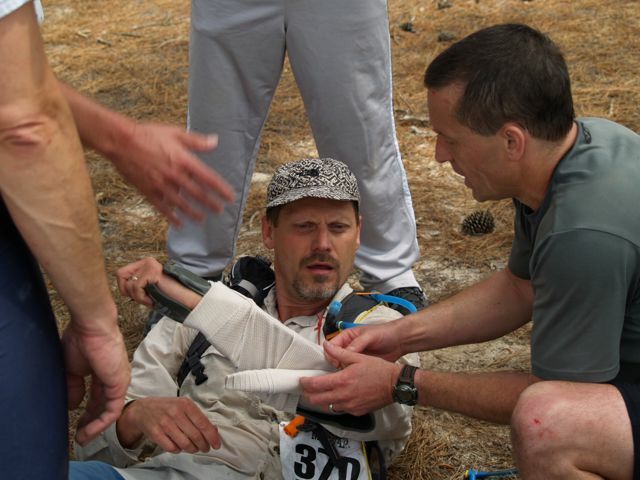 Medical training is NOT required to compete, however you will have a significant advantage if you and your teammates have some level of wilderness medical knowledge. 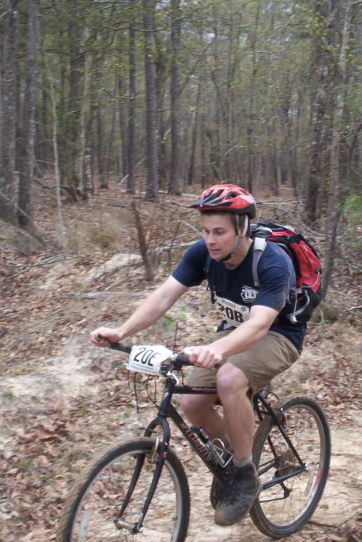 This adventure race requires physical exertion. While most persons in good physical health should be able to compete, racers should be prepared for potential physical exhaustion. 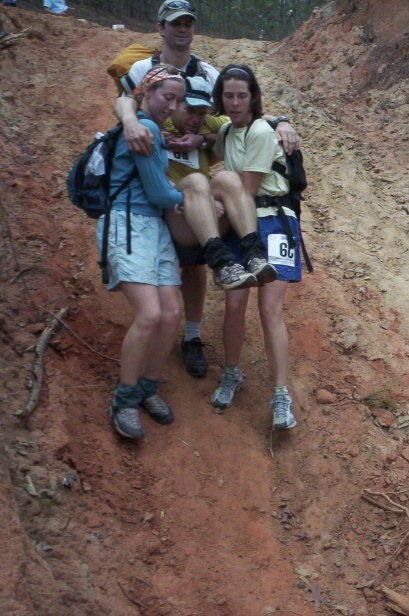 Teams must be entirely self-sufficient during the race (food and water MUST be carried). Expected race finish times are 6-8 hours and racers will cover 10-15 miles. Weather and darkness may play a role, but the race will take place rain, snow or shine. Details subject to change; please check the website for updates. Details subject to change; please check the website for updates.